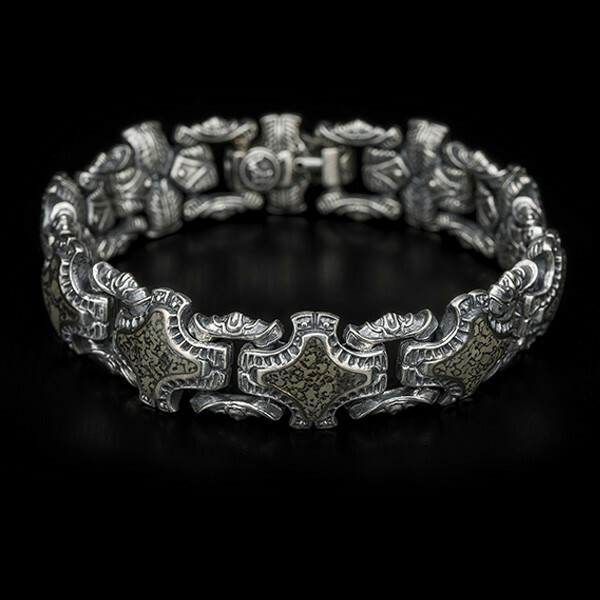 From the On The Wrist collection, William Henry bracelets offer the wearer a plethora of unique materials. The sterling silver links of the 'Knight' are intricately sculpted with open square links alternating with Swiss cross links that have green fossilized bone inlays from a 100 million year old Apatosaurus. Designed to flow with the bracelet, a piston clasp is adorned with a smokey quartz gemstone, which adds to the amazing style of this piece. 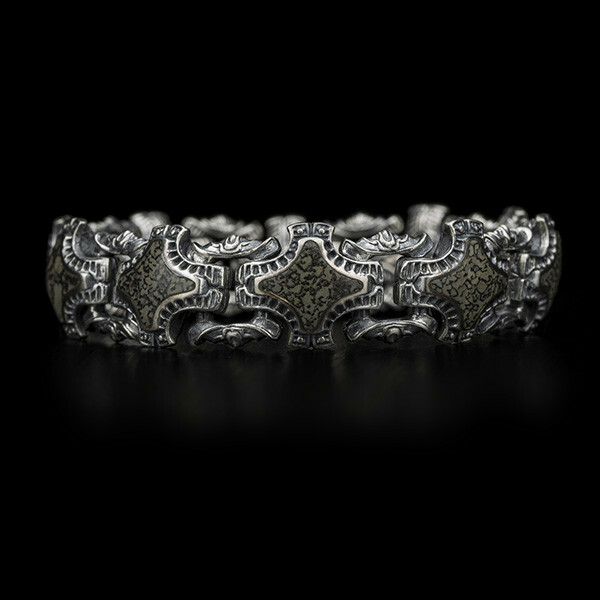 Accent your look with this sultry William Henry bracelet.